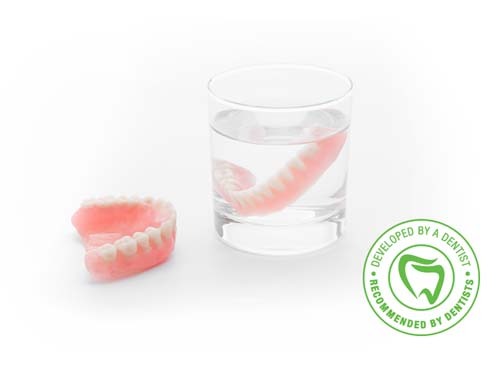 Our Denture Kit is specially designed to help improve the denture experience by reducing Oral Infections, Dry Mouth and Sore Spots. Rich in Vitamins, Aloe Vera, Coconut Oil and Tea Tree Oil. "My mouth feels better than it has for years!" Do Dentures Make You Sick? 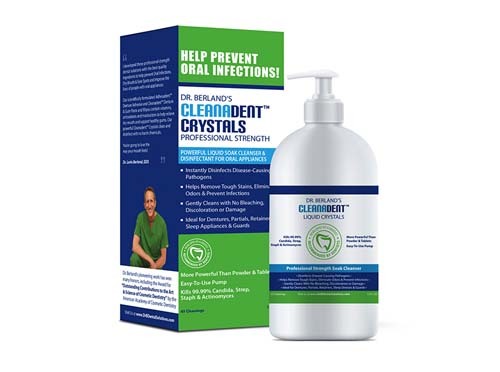 Removable oral appliances are at a high risk of developing Candida Albicans, a serious infection known for it's many negative health consequences and its resistance to antibiotics. 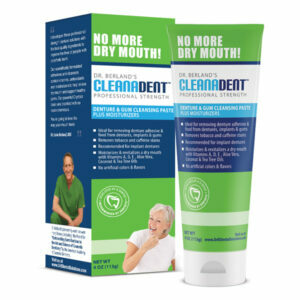 Millions of people suffer from Dry Mouth and Sore Spots. Removable oral appliances can negatively impact saliva production. 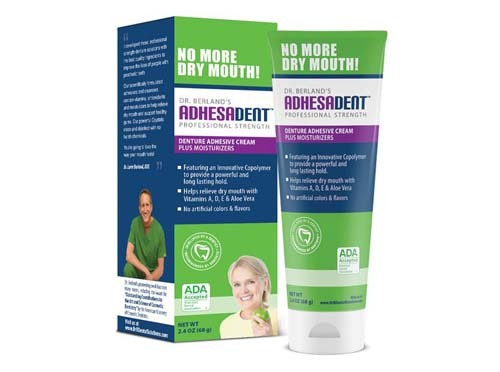 Try the only denture adhesive that is specially designed to reduce dry mouth and sore spots while providing a powerful, long-lasting hold. Rich in Vitamins & Aloe Vera. ADA Accepted. 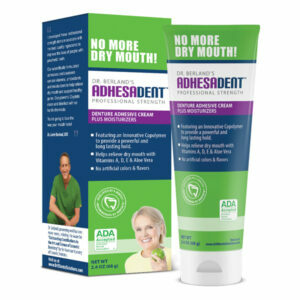 Try the only Ultra-Low Abrasive Tooth-Paste that is safe for Dentures, Implant-Bridges and Gums. 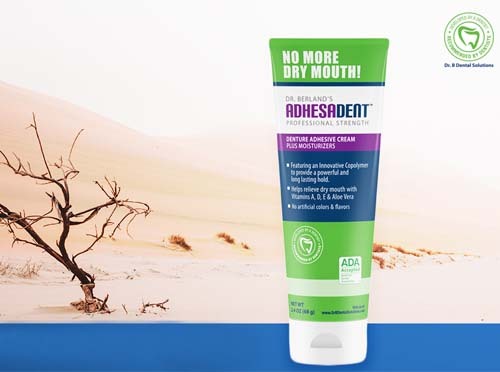 Reduces Dry Mouth, Irritation and Sore Spots with Vitamins, Aloe Vera, Coconut Oil and Tea Tree Oil. ADA Accepted. 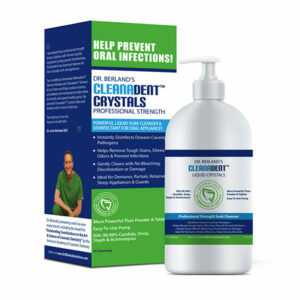 Cleanadent Liquid Crystals is the only soak cleanser that instantly kills dangerous pathogens like Candida, Strep, Staph, and Actinomyces on all removable oral appliances without the use of harmful chemicals bleach, alcohol or chlorine. 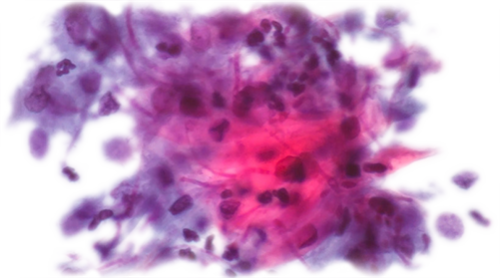 These pathogens are highly prevalent on oral appliances, and are the leading causes of Oral Thrush, Stomatitis and Pneumonia. 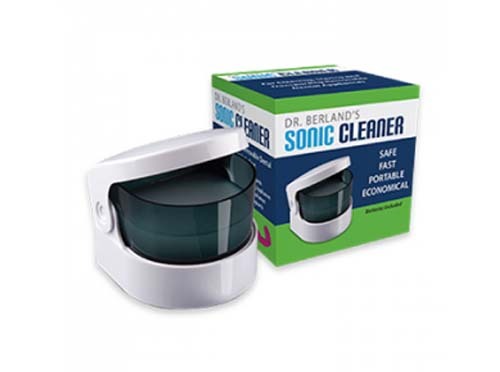 Other cleansers only claim to kill "odor-causing" bacteria. In order to fully kill pathogens and prevent recolonization, research demonstrates that soak cleansers are most effective when they are combined with mechanical cleansing. However, most brushes are too abrasive for appliances and can damage the material. 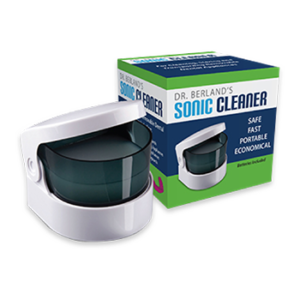 The Dr. B Sonic Cleaner uses high-frequency ultra-sonic waves to safely remove tough debris, calculus and stains. Proper hygiene and care can make a big difference for a healthier mouth and more comfortable appliances. Use the right products and hygiene routine and notice the results! After over 40 years of listening to patients, I developed these products to treat major issues that affect millions of people. Dangerous pathogens like Candida, Strep, Staph & E. Coli are highly prevalent on oral appliances can the risk of infection increases dramatically over time. Proper Care and Hygiene of Removable Oral Appliances, like Retainers, Guards and Dentures are Essential for a Healthy Mouth. 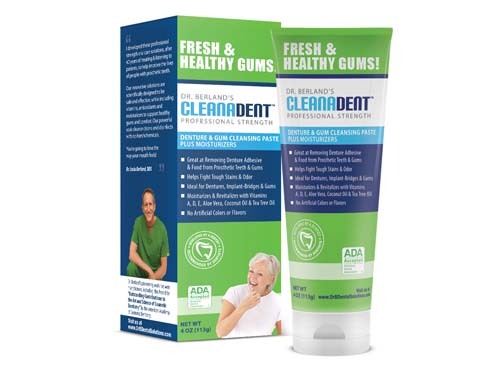 Our professional strength oral care products were developed by a dentist to help prevent Oral Infections, Dry Mouth and Sore Spots. 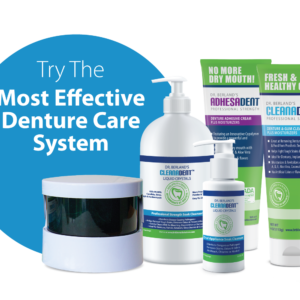 With our innovative formulas that combine modern science with time-tested natural remedies, you’ll be feeling clean & healthy while getting the most out of your oral appliance! 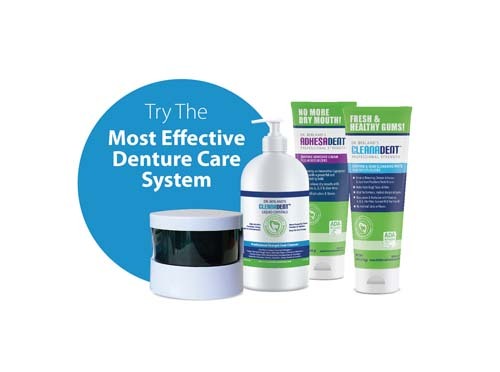 The Denture Solution Kit - $35.95 Every thing you need for Dentures! Dr. Lorin Berland, DDS was recognized by the AACD for “OUTSTANDING CONTRIBUTIONS TO THE ART AND SCIENCE OF COSMETIC DENTISTRY”. He has developed techniques & materials used by dentists around the world. 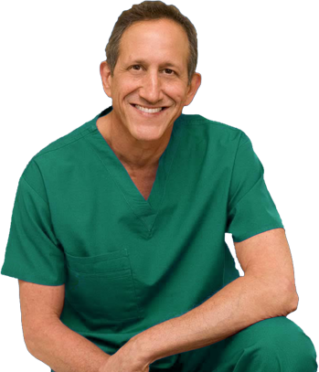 For his work, Dr. Berland has been featured in major national magazines and TV, such as “20/20”, Time and GQ.